As I’m writing this article, the recalling of Fall River Mayor Jasiell Correia continues full steam ahead in front of local retailers. The most interesting part of the recall? Will Flanagan, a recalled mayor, could win a 2018 recall election against the current mayor that played a major part in Flanagan’s 2014 recall. 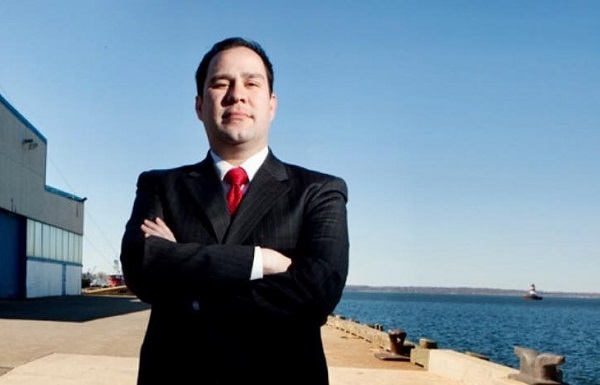 For those living under a Fall River rock, Fall River Mayor Correia was federally indicted on 13 counts on Oct 11, 2018 – you can read the summary and actual indictment here. On Friday, recall leaders Dawn Saurette and Joseph Pereira dropped off 1,700 of the 2,510 signatures, or 5% of the city’s registered voters, needed for a recall. It’s the fruit of their labor since the recall started on October 25 and they have until November 19, 20 days since the recall started, to get more signatures. Most politically savvy people will tell you that much more than the required 2,510 is needed. Signatures get verified or thrown out by the elections office and many signatures are expected to be challenged by Mayor Correia’s office or by his supporters. If people that signed the petitions are not registered voters, their addresses don’t match their voter registration, or for other reasons, signatures can get thrown out by the election’s office. 3,000 or more signatures should be the minimum goal. Some important historical context. Fall River loves recalls this decade. There was an unsuccessful recall effort of Will Flanagan in 2012 and then a successful one in 2014. In August of 2014, a recall of then-Mayor Will Flanagan started with the ‘pay-as-you-throw’ purple trash bags as the primary reason. After some legal battles, Will Flanagan’s recall election took place on December 16, 2014, with former Bristol County District Attorney Sam Sutter being the top finisher and elected mayor. Will Flanagan finished second and less than a year later Jasiel Correia would defeat Sam Sutter. A good summary of the 2014 recall process can be read here. Fast forward to today’s recall effort and there are rumors of Will Flanagan will run in it, should the recall petitioners be successful. He would be an immediate favorite for anyone who has 2014 recall regret. Possible other candidates that immediately come to mind would be 2015 and 2017 second place finishers former Bristol County District Attorney Sam Sutter and former city councilor Linda Pereira. Vocal opponents of Mayor Correia on the Fall River City Council President Cliff Ponte and City Councilor Shawn Cadime come to mind as well. Shawn Cadime unsuccessfully ran in the 2014 recall election and both Ponte and Cadime have pushed the hardest on the City Council to temporarily remove Mayor Correia. There were seven candidates that battled to become mayor in the 2014 recall. I’d expect even more candidates to run in the 2018 recall election, and yes, a recalled mayor could win it.